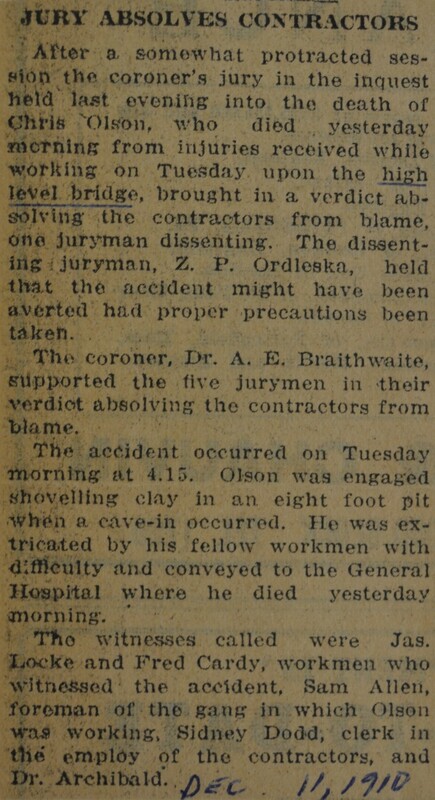 Susan Padget asks whether it’s true that some of the workers died during the construction of the High Level Bridge. Listen first, then read below the spoiler bar for more information. This episode includes significant discussion of death, including self-harm. If you’re having mental health issues, the CMHA Distress Line is a great resource to reach out to. Give them a call at 780-482-HELP. 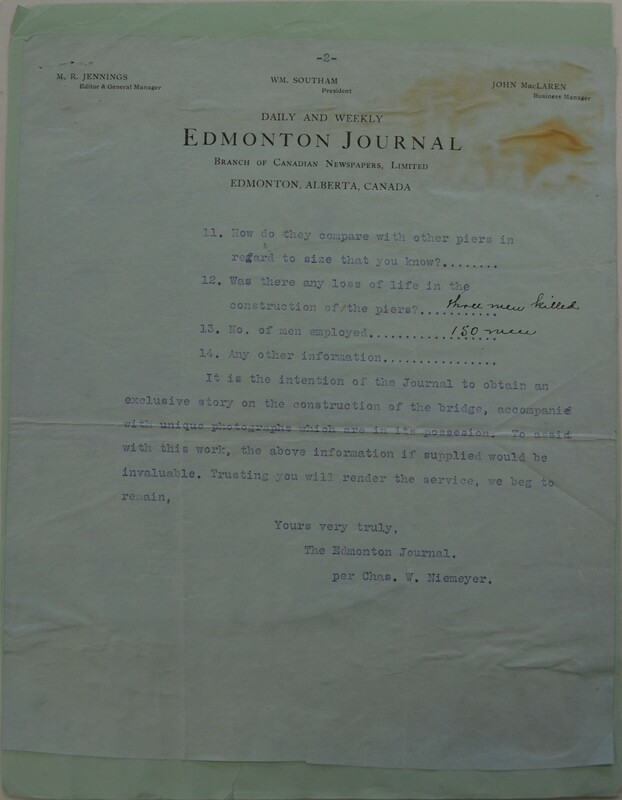 We started our journey at the City of Edmonton Archives, while the snow and slush were still blowing. 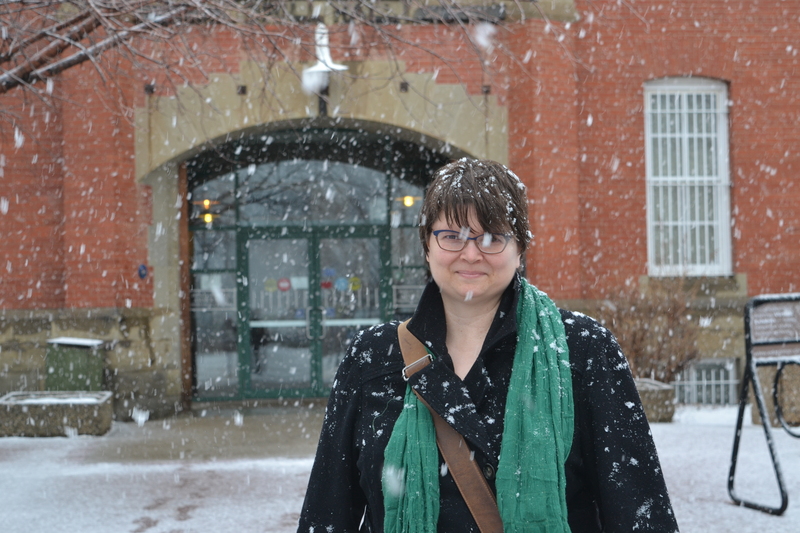 Susan in front of the Prince of Wales Armouries, where the City of Edmonton Archives live. 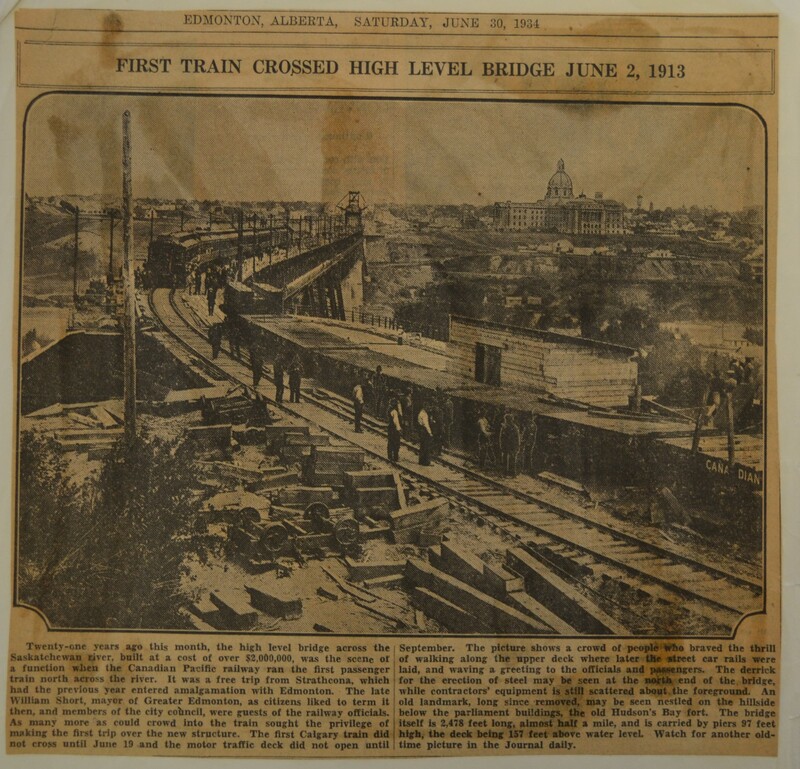 We found a great shot from an Edmonton Journal article looking back at the day the bridge first opened to train traffic. 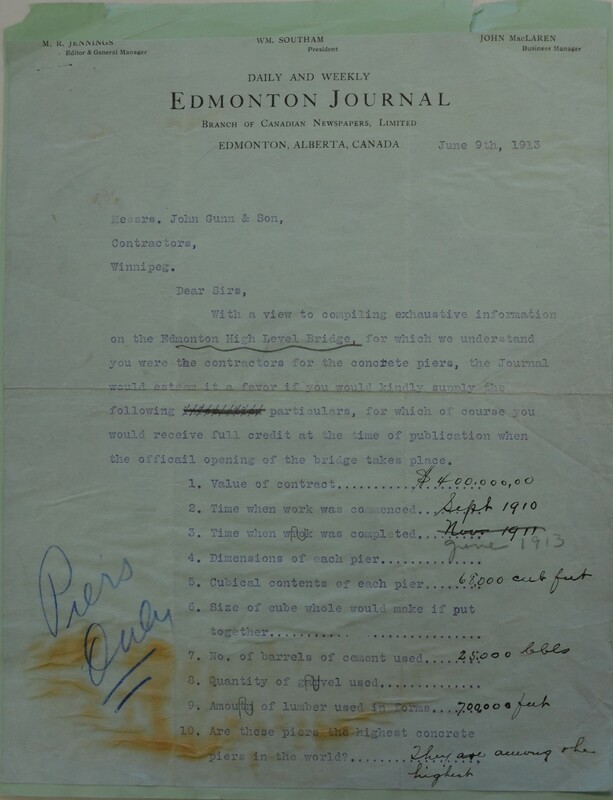 One of the sources we consulted was Kath MacLean, who wrote a poem about Luke McDonough called There Was A Young Man. 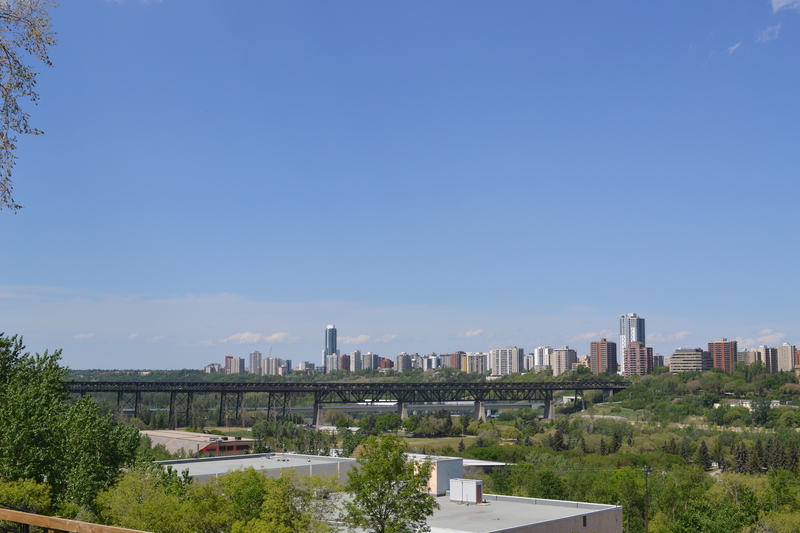 We also spoke to filmmaker Trevor Anderson, who made a short film about the bridge. The bridge looks quite a bit different in 2018. 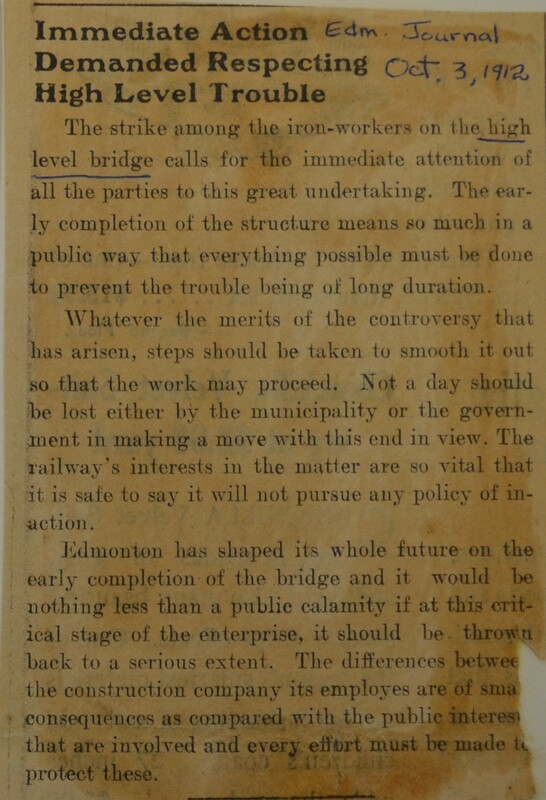 A slightly different angle, but you get the gist of how the city and the bridge have changed in the last century. 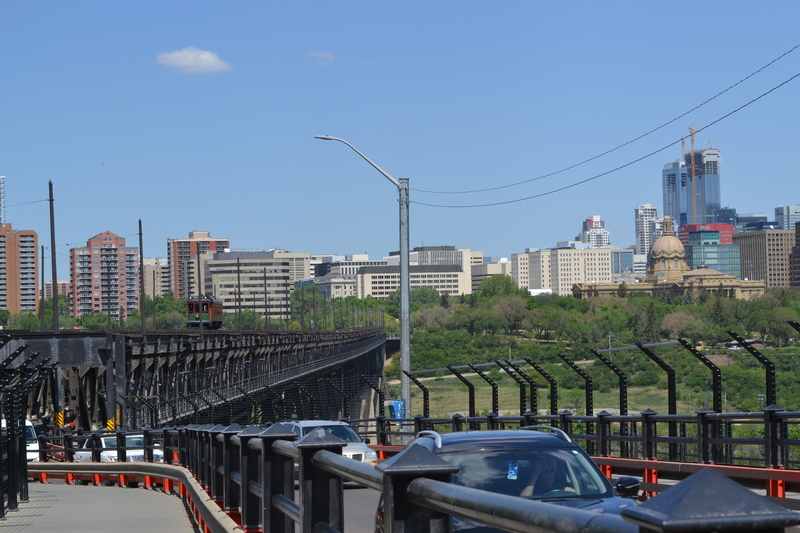 Looking west towards the High Level Bridge. 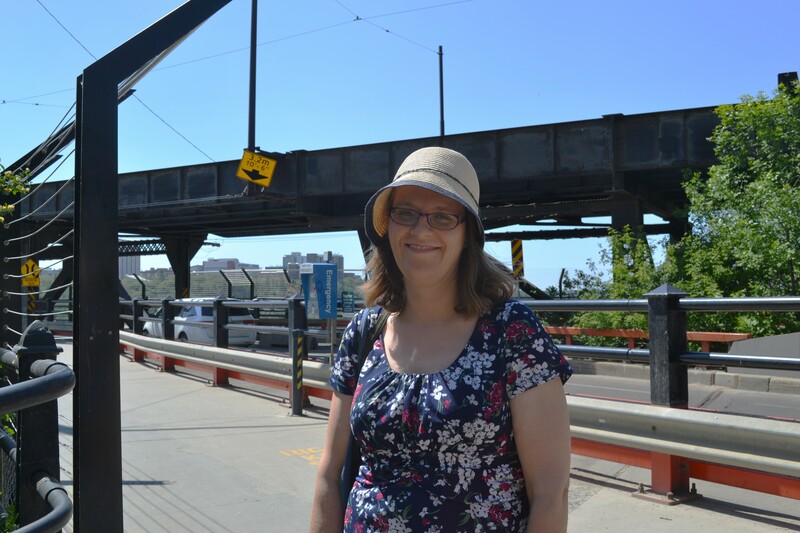 Karen Simonson from the Provincial Archives of Alberta was good enough to join us at the High Level Bridge to talk about what we found. Karen knew what we were looking for before we even asked. Let’s Find Out is a proud member of the Alberta Podcast Network, powered by ATB. 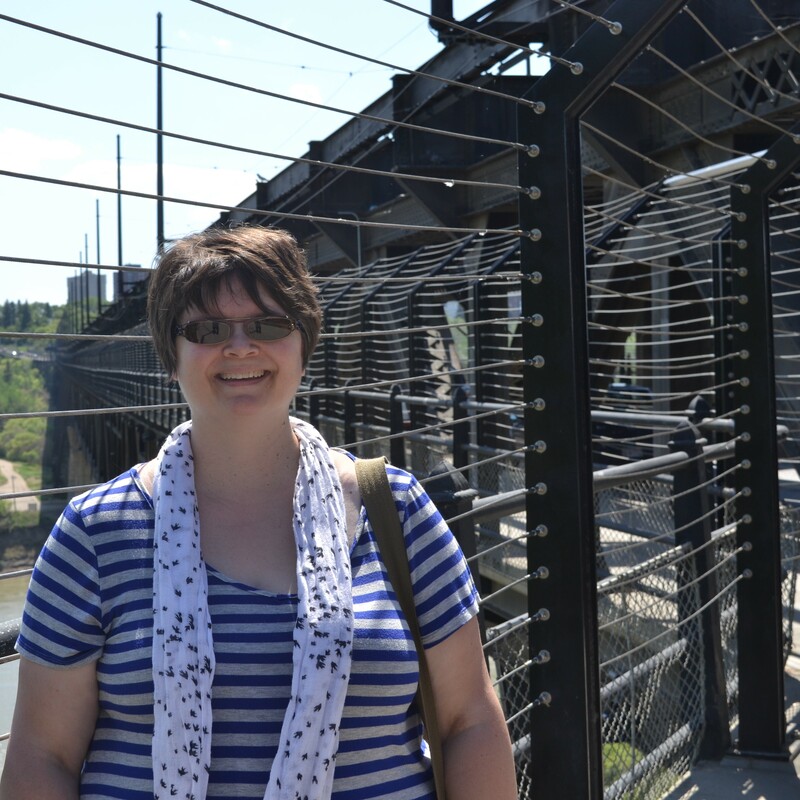 Our network includes a fabulous show called The Broadcast, covering women and politics in Alberta.